As an environmentalist, you loved to be surrounded by nature. You loved the smell of sweet greenery, flowers, and fruits in your own property. You even had a small collection of animals that help in maintaining the balance of your small ecosystem. You created a sort of small sanctuary within your property so that when people visit you, they will be inspired to help change the Earth back to the balanced life planet that it was always meant to be. You knew that what you started was something beautiful. But one morning, when you entered your bathroom, the drains, sinks, tub, and toilet all backed up with sewage. You knew that there was something wrong in the septic system. You looked at your lush yard as you called up your septic expert. 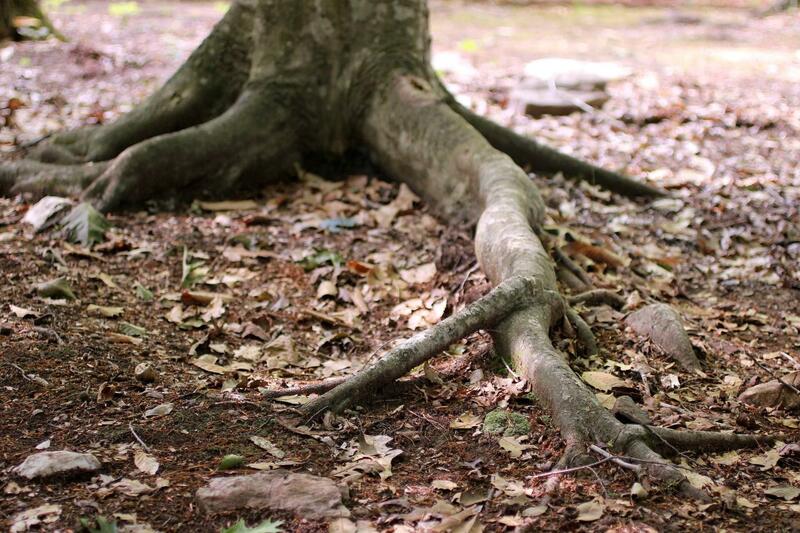 Then it occurred to you…Can tree roots block or clog septic systems? When your septic expert arrived, he wasn’t surprised anymore. He has long told you to clear your yard of the large trees above the area of your septic system but you didn’t listen to him. He told you that these trees would inevitably pose as a big problem to your septic system one day if you didn’t move them. When he had mentioned that before, you just concluded that he was just a cold-hearted man who didn’t care about the environment. What you didn’t know was that he was even more of an environmentalist that you ever were. The septic system is your wastewater treatment facility. It recycles and purifies the wastewater that your household produces before it is returned into the surrounding environment. The septic tank and the drain field are the two main components that you should pay attention to. These are comprised of even smaller parts that contribute to the efficient functioning of the system. Pipes make up the smaller parts of the components. These should be clog free and should always be intact. There should not be any form of obstruction that could cause backup, overflow, clogging, damage, or failure to the entire system. When you have a headache or a toothache, isn’t it true that you’re entire body suffers? The same also applies to the septic system. The big question still remains; can tree roots block or clog septic systems? When any of the septic system parts get clogged or damaged, the entire system perishes. In your case, the trees that were planted above your septic system have already dug deep enough to damage and clog your septic system. Trees are living organisms. They constantly need moisture and nutrients that enable them to perform their life processes. The septic system is the most ideal source of sustenance for your trees because septic water is rich in nutrients. Their hardwood roots went deeper and deeper until they have finally tapped into the direct source. As a result, your septic system is blocked. This stops the outgoing effluent from being distributed to the surrounding environment. Since the wastewater didn’t have anywhere else to go, it backed up into your home. Your septic expert even told you that there was a soggy portion of your yard already. You never knew that there would be this much damage caused by your beloved trees. You asked your septic system again can tree roots block or clog septic systems? Your septic expert suggested that you move your trees to the outer portion of your property, away from your septic system. You immediately contacted your gardener to help you transplant the trees so that the septic expert could start repairing the septic system. You had no plans of not living in your home because of this. To correct your fault, you had to do the drastic transplantation. A few weeks later, things returned to normal. Your trees were happy in the perimeter of your property. You even had an outdoor lounge for your visitors. It was directly under the shades of your large trees. Your property was even more beautiful than before. Admittedly, it looked crowded before but after the incident, there was more space for the children and the dogs to play. Nothing screamed love of nature than this.